GUNJUR — Edrissa Sackh stands on Gunjur beach, a small frown developing on his face as he mends his net. The remote Gambian fishing town of 25,000 people overlooking the North Atlantic Ocean is where Sackh, 31, has been fishing for 16 years. "They are taking the fish," he says with bated breath, pointing toward two Chinese mechanized fishing vessels in the sea. "Right now there are no fish and we need fish." A few inches away, his small hand-painted wooden canoe sits idle. Strong winds mean "there can be no fishing today," he explains. But the trawlers he sees in the distance can handle such weather. "Their boats are big industrial ones, not like ours." When fishers aren't taking to the sea, they are taking to the streets along with villagers and fish traders. Ongoing protests have hit Gunjur since Golden Lead, a Chinese-owned fishmeal factory, opened in 2016. The community is suing the company over pollution generated by the facility. Ten protesters have been arrested and put on trial over the past two months. Fishing is the cornerstone of life here. Gunjur is an hour's drive from Gambia's capital of Banjul, along a stretch of open road and winding tracks with few cars. Fishing is the cornerstone of life here. The beach is a backdrop to a parade of fish sellers, fish driers, fish smokers, net menders, boat builders and boat painters. Every so often, fishers sing together as they pull their boats ashore. But these days it is harder to catch fish. "There are too many engines in the sea," says Sackh. The importance of bonga fish cannot be overemphasized in Gambia, a nation of two million people. Gambians consume 25kg (55 lbs) of fish per capita compared to an African average of 8.2kg (18 lbs). More than half of Gambian fishers' small pelagic catch is bonga, according to the United Nations Food and Agriculture Organization (FAO), and makes up a third of total artisanal catch. About 90 percent of that goes to local consumption, "which is today jeopardized by the presence of more profitable alternatives such as fishmeal," says Dyhia Belhabib, a fisheries scientist at the nonprofit group Ecotrust Canada. "It's the cheapest," echoes Mustapha Manneh, a 27-year-old Gambian journalist. Manneh is campaigning through his Facebook page, Kartong Weekly News, against JXYG, the Mauritania-owned and Chinese-run fishmeal factory in his village of Kartong. With almost half of Gambians living below the international poverty line of $1.25 a day, "many people depend on this fish," he says. But bonga is increasingly unaffordable. Prices paid in the Gambian currency, the dalasi, have soared by up to 50 percent for bonga and sardinella, according to a 2017 report on fishmeal factories in Gambia and Senegal issued by the Senegalese group Association for the Promotion and Empowerment of Marine Fishers, along with local groups from Gambia and Mauritania. The rising tension in Gunjur is indicative of growing conflicts over fish all along the West African coast. Since the 2000s, foreign fishmeal factories operating under local flags have been multiplying, according to a January 2018 report released by the International Collective in Support of Fishworkers. In Senegal, there are a dozen, Mauritania has 29, and in Gambia, three have begun operations since 2016. As the Gunjur protests grew, demonstrations also broke out in the villages of Sanyang and Kartong, where other fishmeal factories operate. The factories produce fishmeal for Europe and Asia but out-compete local fish markets, weakening food security, says Ahmed Diamé, oceans campaigner at Greenpeace Africa. "The availability of small pelagic [fish] in the market is really decreasing, which is a real concern. It is morally unacceptable that to feed other fish and pigs, we take fish needed to be consumed by people." Golden Lead, however, pays cash upfront to local fishers for bonga and sardinella, unlike local fishmongers who buy on credit. With the unprecedented demand for bonga, many fishers like Sackh raised their prices. "Even when the fish is spoiled the factory can buy it," notes Sackh. The bonanza didn't last long. A year after the factory opened, Golden Lead deployed two Gambian-flagged trawlers to catch bonga and other fish. That prompted Sackh and fellow fishers to join the local furor. "Things are more expensive and the contracts are bad for us when they fish," he says. "In order for them to stop the market paying a higher price, they said they had to bring in their own trawlers," says local activist Lamin Jammeh, head of Environmental Concern Group Gunjur. "After that they start buying from local fishermen again, but they are still here using their trawlers. So many people cannot afford to buy meat or eggs. This is the only source of protein we have." Almost half of Gambians [are] living below the international poverty line of $1.25 a day. Golden Lead denies out-competing local fish sellers. "We never made a promise to employ locals, but we have 80-something local workers," says Leo Huang, a manager at Golden Lead. "From the beginning, we've helped Gunjur with 3.2-something million dalasi [$63,000]. We helped with the school, and every year we fix the road." Peter Zhu, another manager at Golden Lead, says, "We don't know the people here and so sometimes we only see these complaints on Facebook." Lamin Samateh, a senior environmental inspector at the Gambia National Environment Agency (NEA), says the higher pricing offered by Golden Lead has led to wastage. "Because the company buys at a slightly higher price, most of the suppliers want to bring their stuff to the company," Samateh says. "They can only buy a certain amount at the end of the day because they don't have enough storage facilities to keep excess. Some of these products get rotten and they cannot be used, so some suppliers would … dump this fish in the ocean." He says the NEA acted when allegations of pollution were reported in 2017: "When we temporarily closed the factory, the people that were advocating for the plant to be allowed to resume operation were fishermen because the income they were getting had been affected by the closure." The NEA settled its own case against Golden Lead out of court last July. "An environmental impact assessment was conducted," says Samateh. "When we give approval we carefully study to make sure that the plan is adequate. The agency is not responsible for price regulation. That is under other agencies such as the competition commission." The Ministry of Trade that oversees Gambia's Competition Commission did not respond to requests for comment. More than half of all fish eaten globally are farmed, mostly fed on fishmeal rich in omega-3 and on oil made from small wild-caught pelagic fish. The long-held assumption was that species like anchovy, sardine and bonga were trash fish that nobody wanted to eat. That, of course, isn't the case in Gambia, and such fish can serve as a rich source of protein, according to a 2017 study from the Sea Around Us initiative at the University of British Columbia. That's largely a reflection of market demand in developed nations, and now in rapidly developing countries. "They are very nutritious. It's just people don't like to eat anchovies, sardines and herrings," says study lead author Tim Cashion, a research assistant at Sea Around Us, of forage fish. "We prefer those high-level predator fish like salmon and tuna." "And as we choose to farm those fish instead, we needed to come up with that fishmeal supply from somewhere," he adds. Currently that place is Peru. The world's largest anchovy fishery exports the majority of its production to China. The world's biggest aquaculture producer, China imports around a million metric tons of fishmeal annually. But Peruvians used to eat anchovies until the advent of the fishmeal industry, Cashion notes. Even industrially raised chickens are supplemented with fishmeal. "That is because we can grow them to market at a faster rate," says Cashion. 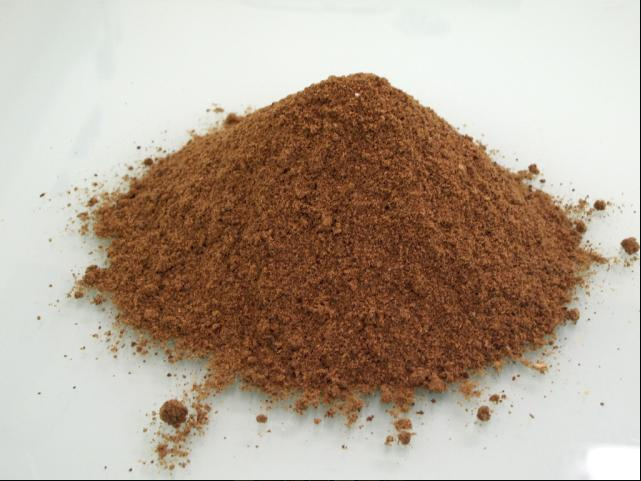 Northwest Africa's rich waters increasingly supply a growing demand for fishmeal. Fish stocks in these waters are shared among countries because small pelagic fish migrate from Senegal and Gambia each summer into Moroccan waters, says Belhabib of Ecotrust Canada. "They form one of the richest marine fisheries in the world." "The [Sahel] upwelling brings nutrients to the surface and this has increased fish biodiversity, particularly pelagic, and add to that weak monitoring and law enforcement and you have a perfect recipe for foreign fishing," she adds. But rampant industrial fishing has already fully exploited stocks, Belhabib notes. Bonga is overexploited, according to the FAO, with catches declining by almost 40 percent between 2013 and 2014. The slump is likely to continue. To compete with foreign trawlers, Senegalese fishers have built bigger boats. "You have huge pirogues coming from Senegal fishing in Gambia's waters and heading back, which also has an impact on those stocks," says Ahmed Diamé. Higher-value fish such as tuna are exported to the EU, Asia and North America. Local fishers catch the affordable pelagic fish – bonga and sardinella – that are consumed in the country. A Gambian government ban on industrial licenses, enforced in 2015, failed to curb foreign exploitation, mainly by the EU, according to Belhabib, and was lifted last March. Béatrice Gorez, coordinator of the Coalition for Fair Fisheries Arrangements, a group that lobbies for the rights of African artisanal fishers, says governments believe they can mitigate foreign exploitation through the employment and demand generated by fishmeal factories. But she says that's a devil's bargain. "It's really important for coastal states in West Africa like Gambia to realize that it's not possible to attract investment to develop industries at the expense of fishing communities," she says. "If you do that, you are going to basically screw up the food security." "We don't get nothing from there," laments fish processor Istatou Ndura as she faces the walls of Golden Lead. We want foreign investment, but it needs to benefit the community. On a good day Ndura, 34, used to make 150 dalasi, or just over $3, selling salted bonga. But over the past year, that price has fallen to less than a dollar. Why? Because she buys her fish when it is less fresh and cheaper, putting her in direct competition with the factory. "Every time we are making a loss," Ndura says angrily. "If you want the fish, they [fishers] say no, they will take it to the Chinese because it's more money for them. And we are working for our children. It has been our trade for generations." Abdulai Camara, a 42-year-old local fisher, admits things are fraught. "The price is better with the Chinese on a day like today, when there is hardly any fish. We can sell it at around 500 to 800 dalasi ($17) per basket of bonga and sardinella." The usual price is 350 dalasi, or just over $7. Fish smoker Adi Jobe, 39, has resorted to buying imported frozen fish at the cash-and-carry store. "I have nine children to feed," she says. "It's better than going to the fishermen and competing with the Chinese." "We want foreign investment, but it needs to benefit the community," says Jammeh of Environmental Concern Group Gunjur. "That fish is our source of protein. How is that still going to be possible when this factory is processing 500 tons every day and one in Kartong and another in Sanyang?" Reporting for this story was co-funded by the Pulitzer Center on Crisis Reporting and Internews' Earth Journalism Network.